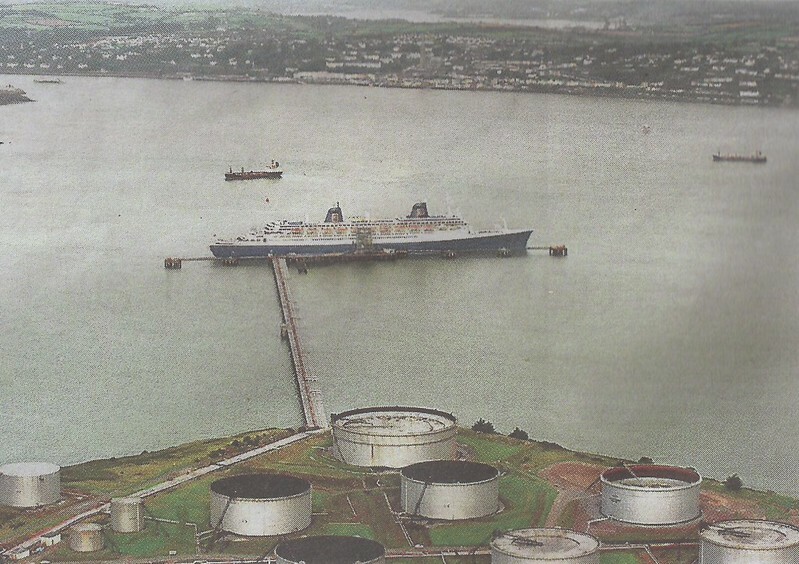 There was an article in the local paper recently about the oil refinery in Cork harbour. The article featured a pic of the Norway berthed there on 28th August 1997. Here's a scan of the pic. Quality isn;t great but I'm sure it will of interest. I haven't seen that one before...I've been to CORK... but wasn't that up a river, or do I mix it up with somewhere else? The port is made up of a few different areas. As you say Cork City is on the river Lee and there are a few quays there where ships dock. Whitegate where the Norway docked would be about 20 miles by road from the city centre and nearer the open sea. OK, that explains a bit. I actually went over to Google Earth to check it out because this is a dock I do not remember from my calls there with Crystal Symphony. Maybe it was here that you remember with Crystal Symphony, pakarang. It says Port of Cork, but the exact location is the town called Cobh. Yes, that is more like it... I remember the barge we had to tie up with, though the colors back then were different. I think you are spot on! Whitegate Oil Refinery where Norway docked in 1997 is on the right of this map . 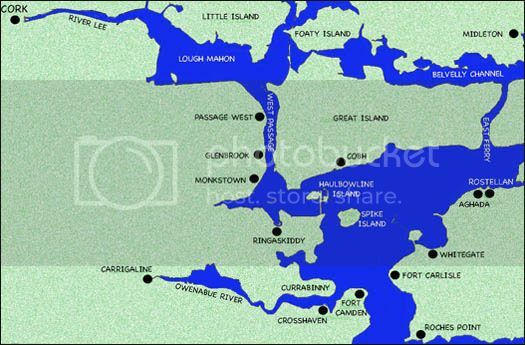 Cobh where you'd have docked with Crystal Symphony and Cork city centre is on very top left hand corner of the map. Incidentally when Norway visited in 1998 she docked over in Ringaskiddy (on the left hand side). There is a deepwater berth here and also a ferry terminal. She'd have left by sailing out between Cobh and Haulbowline Island and then taking a sharp right past Spike Island and Whitegate before finally passing Roches Point lighthouse to the open sea. BTW when did you visit Cork/Cobh with Crystal Symphony? I might have some pics of it. My last visit would have been back in .... probably 2004 or 2005 I think, during the early days or after the the summer months. I think we used to do around the British Isles cruises in August, prior to heading back to the US. All times are GMT+1. This page was generated at 11:29.